FREMONT, Mich. — A school district in Michigan plans to again allow students to leave school during lunchtime for off-site voluntary religious instruction after reviewing the details of the matter following a complaint. 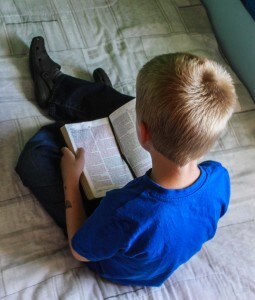 As previously reported, the Fremont Wesleyan Church has been offering the Bible Release Time program for Daisy Brook Elementary School students, a 45-minute class that is optional and only for those whose parents have signed a written permission form. Following receipt of the complaint, the district sent a letter to parents outlining that as per the advice of attorneys, students would no longer be permitted to attend the lunchtime Bible class. Haggart told reporters that he hoped to restore the arrangement and that the severance would not be permanent. Attorneys for Perkins then sent a letter to Haggart, stating that it was a mistake to end student attendance and urged immediate reinstatement. Following a review and a decision to continue the offering in the fall, Haggart told MLive that the district will change how the flyers are distributed going forward, and will ensure that their wording—as created by Perkins—is without issue. The report did not specify exactly what would be done differently in regard to distribution.